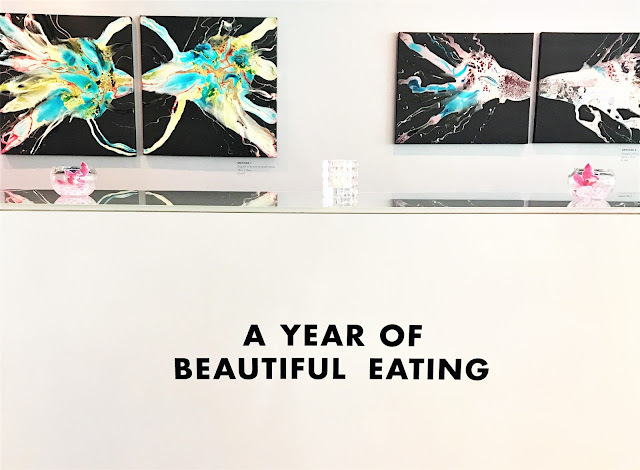 Last week I was invited by Harvey Nics and Madeleine Shaw to celebrate the launch of 'A Year of Beautiful Eating', Madeleine's newest book, at her supper club. 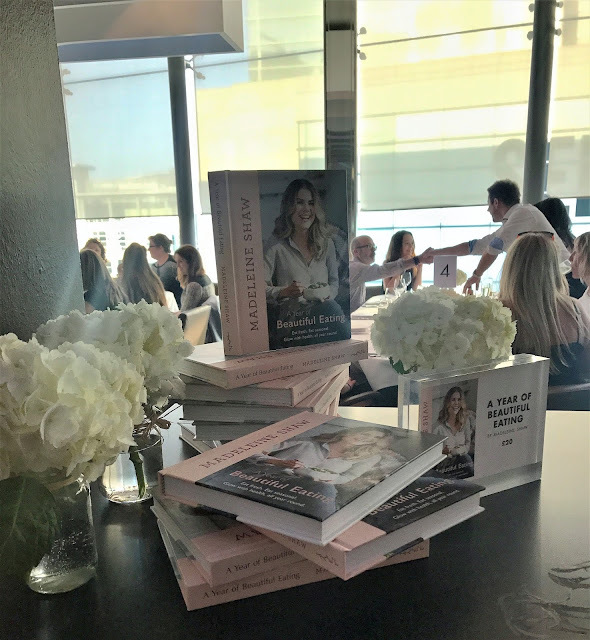 It's not the first time I've been to one of her supper clubs - I went to her first one two years ago to celebrate Get the Glow, one of my favourite cook books to date. This time around was a little different as Madeline is expecting her first baby, and so we kicked things off with a refreshing non-alcoholic cocktail (I enjoyed mine and then moved swiftly on to prosecco!). I went with Pam, and we were both really excited for the food - and we weren't disappointed. 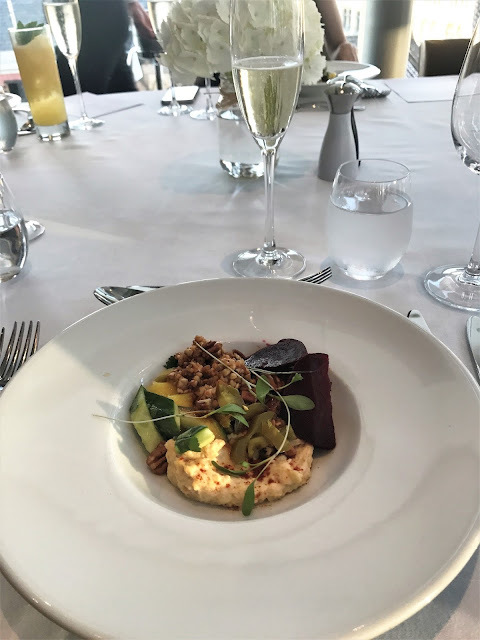 For starters, we were treated to a gorgeous 'summer loving bowl' - buckwheat, beetroot, cucumber, mango, hummus, walnut and jalapeno chilli. I cook with buckwheat flour a lot but would usually opt to have quinoa or lentils instead of buckwheat and this inspired me to incorporate it in my cooking - it's got such a lovely nutty flavour! It was so summery and really filling for a starter - this would make a perfect lunch to take to work. For our main, we had roast cod with asparagus, paprika and green olives. The cod was absolutely massive! Just when we thought we couldn't eat any more, we were brought out (the nicest) rice pudding dish I've ever had. I know. Bold claim. It was seriously amazing. Rhubarb and coconut rice pudding with vanilla, cinnamon, almonds and maple syrup. I think it would work well as a breakfast dish, and you could potentially swap out the rice for oats? I know, people say that all the bloody time about 'celebs' and people they're a fan of. But honestly, the three times I've met Madeleine, she's always been so chatty, interested, genuinely happy and full of life. Even last week, after juggling being pregnant with an exhausting book tour, she was smiling, chatting and making time for everyone at the event. I really respect her. She doesn't preach a certain way of eating, unnecessarily cutting out food groups. Her ethos on eating is centered on foods that nourish your body, making you feel good on the inside and out - I've made loads of her recipes and think they're a great choice if you're entertaining. ...and of course the rice pudding in the photos above... oh my gosh!! Don't get me wrong, I absolutely love people like Gizzi Erskine (the meatball recipe in her Healthy Appetite book is hands down one of my faves), but sometimes, her ingredients list go on forever, and I've found myself Googling a lot of the foods on the list. You know the kind of recipe where you have to go to really obscure shops to get all the right ingredients. Madeleine's recipes are very simple and easy to follow. They're very attainable and easy to make, and I've found her to be a really accessible chef. 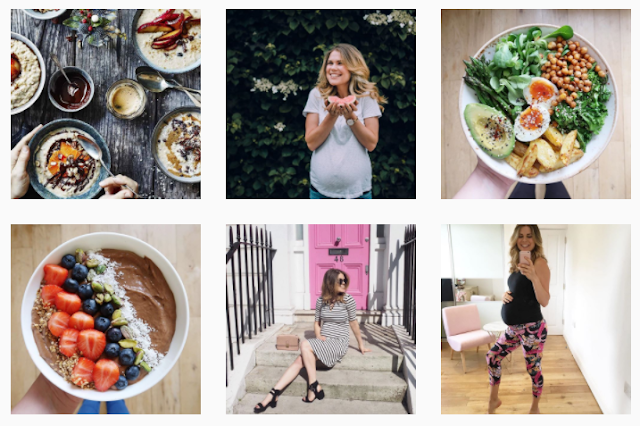 Don't just follow her for recipes and food inspiration - her daily ramblings and happenings are documented across social, and she's well worth a follow! Thank you to Harvey Nics for inviting me to share the evening with Madeleine (and for supplying the prosecco ;)), and to Madeleine, for being such a gem.